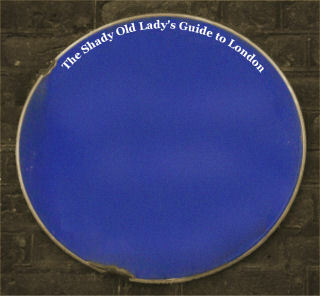 This is where one of London's oldest theatre's used to located. Description: This street was originally known as Playhouse Yard and in the words of a plaque on one of the street's buildings, Good Master Edward Alleyne's Fortune Theatre stood on a site near here in 1600. Built in 1599 for Edward Alleyn (1566-1626) and Phillip Henslowe (d. 1616), it was situated between Whitecross Street and Golden Lane, in the parish of St. Giles, Cripplegate. 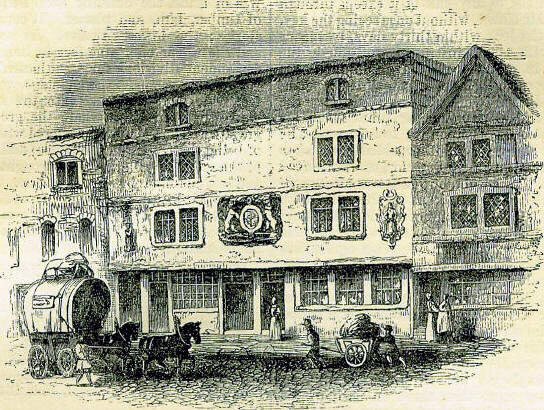 The theatre was destroyed by fire in 1621, rebuilt, but finally closed when an ordinance for the dismantling of playhouses was issued in 1647-48. The plays of Dekker and Marlowe were performed here. Also from this theatre Alleyn obtained the funds to found Dulwich College and local almshouses in Bath Street (originally Pest House Lane). Specifications also included, perhaps reflecting the actor Edward Alleyn's wishing to improve the actors working conditions! 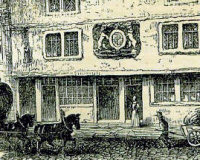 On the corner of Fortune Street and Golden lane, once stood the Nursery a place for developing and educating young children for the acting profession of the stage, in short the first acting school. In Samuel Pepys diary of 1664 he writes; I chance to sit by Tom Killigrow who tells me that he is setting up a nursery that is going to be built in a house near Moorfields, wherein he will have common plays acted.